Urban exploration is a lot of fun, but responsible adults might not be thrilled by the idea of getting caught. In many historical abandonments, urbexers are more likely to get a ticket than fall through the floor. And anyway, who can enjoy an abandoned building while worrying about the cops? Fortunately, with these tips, urban exploration can be a legitimate hobby without the risks of illegal building infiltration. Stick to actual historic sites. “Historic” doesn’t have to mean tidy. Eastern State Penitentiary in Pennsylvania is a museum, but it’s barely preserved at all. 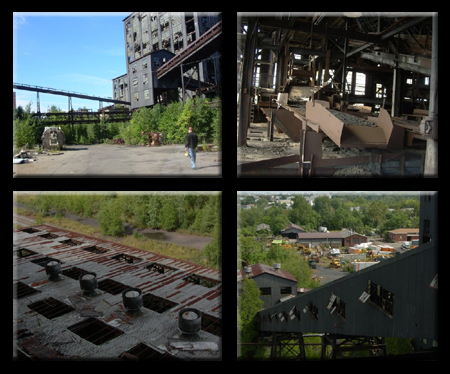 Concrete City, PA and Tahawus, NY are other good examples of legal abandonments worth exploring. Ask permission. After finding an abandonment to explore, check your local government offices for property information. Tax records are a good place to start, and will usually reveal the owner’s information. Googling “registry of deeds [your town]” may turn up some useful sites as well. After finding the owner, it may be better to visit in person than to call. This makes it easier to sign liability releases, waivers, and obtain paperwork that prove you are allowed on the site. Getting permission to visit a site is usually easy, but it depends on the landowner and on the site itself. If the building is crumbling, the owner may not want explorers there, even with a waiver. Contact the local police if all else fails. Some abandoned places can be accessed by asking them. This won’t be the case with every location, but it’s a good idea if the owner is difficult to find or contact. Arrange a tour. This can be very easy with sites that are unpreserved but of historical value. Often, either the owner or a preservation group will take visitors on a private tour. Some urbexers don’t like being accompanied, but the guide can offer rare information about the site’s history or architecture. Don’t call yourself an “urban explorer.” “Photographer” is far more likely to garner permission or tours. Everybody knows what a photographer is, but “urban explorer” can be confusing at best. Don’t bring screwdrivers or other tools. Anything more than a camera and a flashlight can cause problems if the police question you. Legal urbex does take some legwork, but it makes for a worry-free way to explore and photograph amazing abandoned places! Al Ebaster is a photographer and urban explorer in Pennsylvania. While not exploring, he’s either writing, reading or playing video games. His travels have included Centralia and the abandoned PA Turnpike. Have a tip or article suggestion? Submit your content to Web Urbanist!